Hard trials invading your life?…Maybe a blog I posted a while back might encourage you today. Hang in there! I really needed this. This sesson in my life has been rough; but, help me Lord to keep my eyes on focused you. Thank you for posting this blog, it was for me. Sabrina…I’m so sorry you have hit hard times. I pray that things will work out for you and that God will give you grace and peace. Stay focused on Him. God bless you in Jesus name. Can you write me in the side bar….I need to share something with you privately. Amen, Amen and Amen!!! It is so easy to forget in the storm, that Jesus is right beside you. Thank you for this post! Amen. Jesus is the author and finisher of our faith even in our trials. 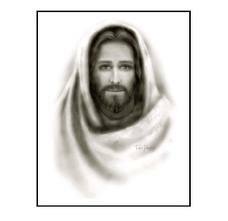 I like the picture of Jesus you have here. God bless you sis! Praise the Lord…He is our author and finisher! It was hard to find a picture that had just the right look. Luv you my sister!